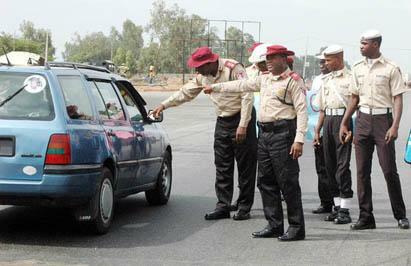 The Federal Road Safety Corps (FRSC) in Plateau said it recorded 88 deaths in 225 road crashes in 2017. Mr Andrew Bala, the corps Public Education Officer told newsmen on Saturday in Jos that 908 persons were severely injured from the crashes. “We have recorded 88 deaths from 225 crashes that occurred on various highways within our command in 2017. “Nine hundred and eight persons involved in the accidents recorded in the year under review suffered some level of injuries. “Comparing the 2017 and 2016 records, I can confidently say that we recorded less number of crashes in 2017. “This is because of various initiatives in stemming the tides of road crashes put in place by the command’s management team, alongside the resilience of our officers and men toward the course,” he said. He said the command had arrested 16, 766 road traffic offenders who committed a record of 17, 635 offences in the year under review. Bala said offences committed include use of phone while driving, seat belt violation, driver’s license violation, overloading and underage drivers, among others. The post Plateau: FRSC records 88 deaths in 225 crashes in 2017 appeared first on Vanguard News.